Carrie epitomizes ‘what can be done’ with a dash of ‘bold’ and a pinch of ‘let’s try it’ much like the concept of the Millennials Changing America national tour. Key differences? MCA (blog at Change.org) is a journalistic indie reporting venture, covering new ways to organize the passions of millennials, whereas GFC is a massive national undertaking to TRAIN change agents on the spot, specifically focused on girls aged 13-18! 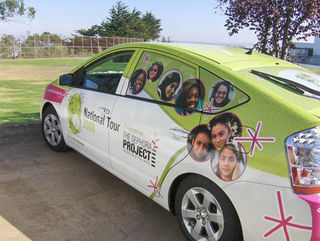 · They traveled more than 6,500 miles reaching girls in 11 cities, training 2,300 girls in 25 schools, using social media to follow up with hundreds of girls on the Girl Action Network hub. Girls For A Change expansion? Eight to ten new Girl Action Teams will start in January 2009 in Richmond, Virginia alone! Carrie Ellett and her crew successfully empowered girls with the vision of what could be…now and in the next iteration of mobilization. I’ll admit, as much as I’ve always championed the accomplishments of Girls For A Change, my first instinct as a media and marketing analyst was to look at the sponsorship ties on the national tour and raise my eyebrows with ‘Hmnnnn….’ skepticism. Ever the smart girl champion and change agent, Courtney Macavinta had a solid, powerful retort (as usual) explaining not only the anticipated response of “the funding has to come from somewhere” but flagging the unique opportunity of “incentivizing” girls in a dual-pronged value-add for the “at risk/tough to reach” demographic to “engage” as well as girls already “centered in self” that just want goodies. It’s not about makeup, it’s about transformation. Hmn…Ok. Got me there. Marketing hope. Giving girls the tools to make a difference. Not makeup. Action kits. Funding over freebies, but nonetheless entwined. I’ve seen this in our own work at Shaping Youth…The more ‘in need’ (and in our schools, impoverished) the circumstance, the more freebies and corporate social responsibility matter…We actually used the ‘freebie’ tactic to instill healthier food selections than the branded processed junk…worked like a charm. Point? If you can tap into a corporation willing to financially and responsibly support a massive media mindshift trying to do good things, it seems a win-win could prove change-making. All depends on the authenticity of the dedication, and how that double-edged sword is wielded with transparency and accountability. Brand trust and loyalty can cut both ways, edging toward positive or negative values. (Think of all those sugary branded freebies that ‘hook’ kids early on, or the local fast food chain that provide livelihoods and paychecks in exchange for community support…Then again, think about the FREE Verb Yellowball campaign to get kids to get outside and play…or free fresh produce samples at Farmer’s Markets to get kids eating healthier)…We always need to look critically at the various ethical conundrums of FREEBIES and product endorsement and be at peace with our own moral compass on where we land with kids. In essence, it distills into the Hippocratic oath I keep coming back to, “do no harm.” If you do harm you’re out. If you do good you’re in. And if you do “more harm than good” as a snake in the grass, sneaking in the backside to mine kids’ as marketers, you’ll eventually get your ‘come-uppins’ once you’re outed by watchdog groups or writers like me who don’t take kindly to opportunistic brandwashing. The ‘devil is in the details,’ each case is different. Ultimately, The Sephora Project has the global scale and reach that GFC needs to make a massive splash, so it passes the sniff test with me in terms of the whys and hows of alignment and implementation. The Girls For A Change National Tour (map at left) had amazing outreach, adding new ‘Girls Action Zones’ scales reach to potentially 210 U.S. and Canada Sephora stores, and more than 500 stores within 12 countries in Europe, plus an already established hub of 30 locations in China…Whoa. That’s a lot of social change agents if handled well. In fact, all of the GFC corporations and sponsors aligning are “investing in change,” so the halo effect becomes palatable and the goals become sustainable. 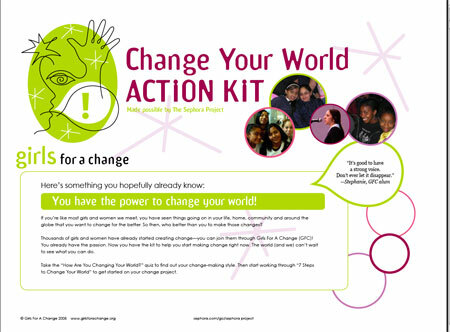 Similarly, GFC Girl Action Teams were held in ‘Girls Action Zones’ (10 Sephora Stores in 10 cities throughout the country)…but they also encouraged hundreds of community members to take a stand for change, join the Girl Action Network, and recruit passionistas for things that matter to them. For me? 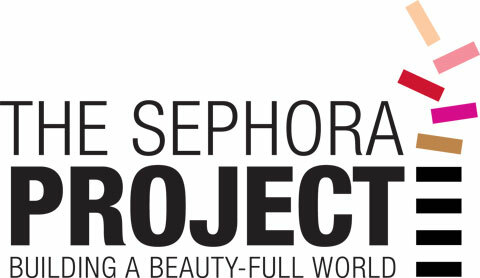 The Sephora sponsorship that started out as a controversial ‘huh?’ ended on an ‘aha!’ note as it paid it forward many times over hearing and seeing the actual actions of the girls involved, asking girls to start a GFC Action Team where THEY live…empowering girls to make a difference. Shaping Youth: Who nominated you for WLW/how did you end up involved, and what was your ‘vision’ and ‘mission’ to use the leadership training for Girls for a Change? Carrie Ellett: I was nominated for WLW by Eleanor Rouse, GFC’s National Program Director. She met WLW supporters at an event and recommended the program to me. When I heard about the program, my goal was to connect with women from around the world about the GFC mission and domestic and international expansion. Carrie Ellett: I’ve found the entire process of the fellowship with WLW to be useful. The coaching after the program has helped me stay on track with my vision through the successes and the breakdowns. The program gave me an opportunity to explore my vision and my role in GFC’s domestic and international expansion. 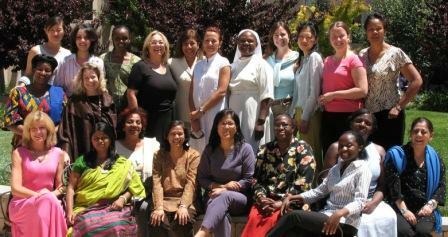 In addition, the connection among women from throughout the world was a really powerful reminder of how important it is to work together for the greater good and also to learn about cultures. Carrie Ellett: My bold vision for GFC is to have girl programming in 5 different countries by June 2009. Shaping Youth: What is your favorite leadership quote? Carrie Ellett: Our work is mostly done through the GFC Coaches. (video here) So we focus on empowering coaches to work directly with girls in communities. We have coach orientations and ongoing trainings throughout the year where we focus on creating social change with girls and sharing best practices for this work. One of our core focuses is on recovering from failure. We encourage coaches to work with girls on skill building and allow girls to learn leadership skills while implementing their project. During the project, if things were not working out it would be easy for coaches to take over and make sure the project happens. We ask coaches to not do this and instead work with girls on recovering from failure through making new plans, discussions about what happened in the failure and working to support each other. Carrie Ellett: We recently completed our first National Tour — 2,300 girls trained to be social change agents in 6 metro areas in 26 days! — so I had many opportunities to 2-step! The planning of the National Tour was a big project with many working pieces. During this time, I remember many times the lessons of being centered and looking at challenges from a new perspective. Shaping Youth: What are the opportunities and challenges in fulfilling your vision and how can the readers of this week’s ‘All things girl’ at Shaping Youth support you specifically? Carrie Ellett: We are getting requests from around the world to bring GFC to girls and women everywhere. In order to fulfill these requests, we’ll need more financial support to continue our expansion. 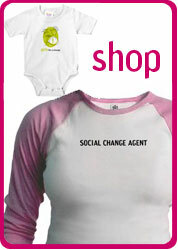 We also encourage social change makers to join us on our Girl Action Network! Shaping Youth: Changeblogging Meme time! What is one change, big or small, local or global you want to see in your lifetime? Carrie Ellett: I want every child on the globe to be able to attend school. I think education can help us solve many of our global issues. Carrie Ellett: I’m currently working with GFC whose focus is not education alone, but rather empowers girls around the world to decide what issues they want to tackle. I’m using my leadership to empower many others to create the change they want to see and many of the girls choose educational issues. Shaping Youth: How has media and marketing impacted the girls at GFC in positive ways? In negative ways? Media and marketing can ALSO bring negative images usually related to girls’ interactions with each other. This spring the focus on girl violence took away many positive messages about girls that were in the media and focused them on competition among girls and girl bullying. Shaping Youth: What was the most poignant moment of the GFC national tour for you personally? For the girls? One of the girls asked me, “Are you sure we can really make a difference?” When I told her I was sure, she asked me “how do you know?” I had the chance to tell her about my experiences with GFC, personal experiences and my beliefs about girls as a force for social change. Shaping Youth: Has President Elect Obama influenced the girls you work with or inspired change within them that you can see? Carrie Ellett: Particularly during the National Tour we saw many girls that were wearing Obama shirts, pins, hair bands, you name it. The girls talked a lot about how much they like Barack Obama and asked many adults who they were voting for in the election. Girls were also very aware of the issues being talked about in the campaign from economics to foreign policy. They were VERY engaged in the election. Shaping Youth: What inspired you specifically to focus on girls as an under-served audience? (e.g. counter-acting toxic media msging? Hyper-sexualization? Alternative choices for femme forward thinking or what?) What was your PERSONAL passion in taking on this line of work? Carrie Ellett: As a young woman, I always felt like I wasn’t quite living up to my potential. I don’t think I gave it those words when I was a young woman, but I always felt like I was holding back. I would often stay quiet when I knew answers, I would hold back on sharing solutions to problems, avoided joining certain groups that interested me, etc. It took until after college for me to really feel confident. After being in AmeriCorps National Civilian Community Corps for 2 years, I started to realize how I could influence the world. At that time I was in my mid-20s and finally understanding I could create change and be a leader. Now, as the National Program Director for GFC, I am spreading the word to girls that THEY can be change makers and then offering them support. I see the opportunity for more girl leaders at younger ages to be major influencers in their communities. I am confident this will change the world. Sound off, weigh in, check out Girls For A Change and their brand new Girls Action Network, which we’ll no doubt be visiting quite often for how-tos and inspiration! Welcome to the GFC Action Network! from Girls For A Change on Vimeo. Personally, I prefer the way that Girl Scouts empowers girls to be leaders, by giving them the opportunity to Discover, Connect, Take Action over time, with age-appropriate activities. That said, I’m glad that there are multiple organizations with a similar mandate as you never know what will inspire any one girl, or who will reach her. I almost would like to ‘rebrand’ it here under a diff. name (with some hip/urban/tribal sounding invite only kind of hot ticket to ‘sell girls’ on coolness cache) and then do the old lift and reveal several months later as the group actually being one and the same as GSA! Wouldn’t that be a hoot?